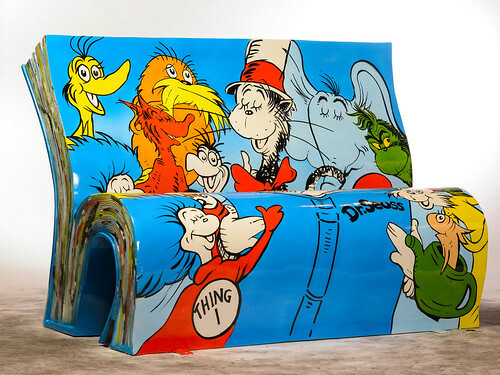 Happy 111th birthday to Dr. Seuss (2 March, 1904 – 24 September, 1991)! Happy birthday also to bluerocean and starrchilde, and happy early birthday to clara_posts, thewordoffred, lovefromgirl, artwhisperer, jasonbsizemore, dannyboy8406, _snitchbitch, killerweasel, ashesngolddust, dracschick, wellinghall, nrlymrtl, unovis, bellatook, thepirateship, rosieb328, and supervillainess. May all of you enjoy many happy returns of the day! IIRC there's an illustrated adaptation of The Call of Cthulhu done in the style of Dr. Seuss. I believe it's on DeviantArt. Seuss rocks absolutely. Thanks for celebrating his birthday! I was an underclassman in college when he died, and I remember all of us in the dorm talking about his passing. An exchange student from Kazakhstan didn't know who he was, so one of the girls drove to her parents' house, got an armful of his books, and brought them back. We spent the whole night reading Dr. Seuss books to each other, reminiscing about which stories we'd read as children (or had read to us), and delighting as the Kazakh student fell in love with them for the first time.